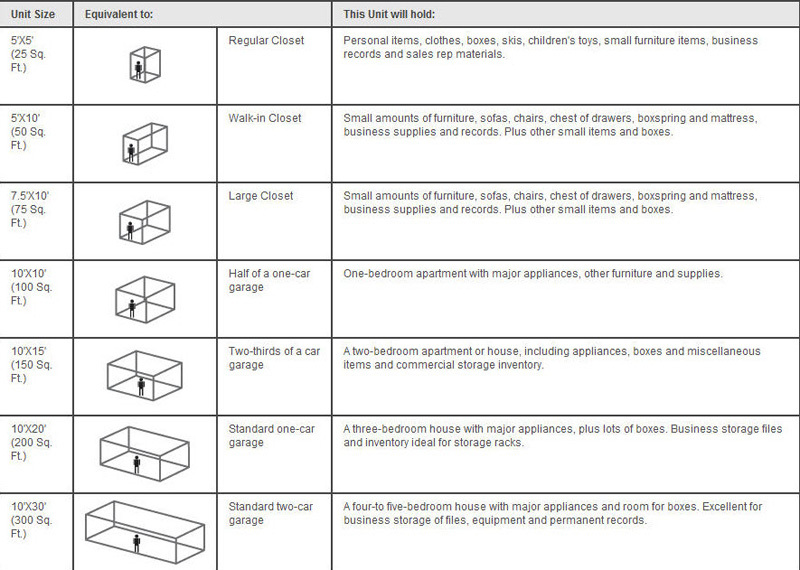 Need visual help to determine the correct storage rental unit size you need to rent? Southwoods Storage can help with our rental size chart below! Our storage rental capacity/volume chart is based on our different storage unit sizes to help you choose the right unit for your storage needs.